Happy Sunday, everyone! Baby, it's cold outside - and snowy! And that's exactly what it was like INSIDE my classroom on Friday. 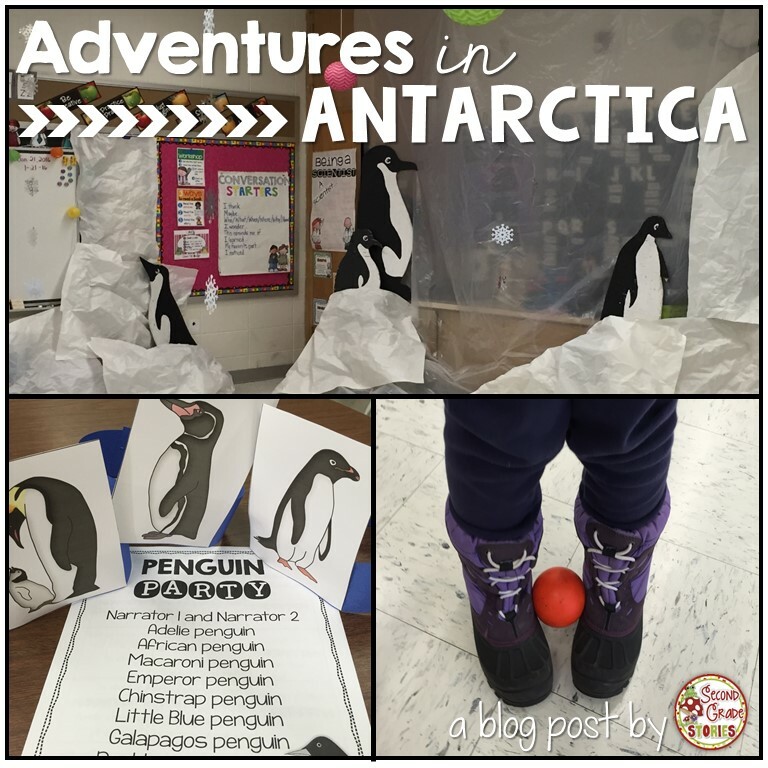 The room was transformed into the coldest and windiest place on Earth as my kiddos took a field trip to Antarctica to research penguins. First, I need to share with you where this inspiration came from. I had originally planned to do a little "Winter Wonderland" while we were focusing on our science unit about matter. A few white tablecloths, some snowflakes and LOTS of hands-on content about the changing states of matter with a snow theme. Great idea.... but... honestly, I just wasn't feeling it. And #realtalk - my kiddos' behavior right after winter break had some room for improvement. :-) I decided to wait until we got back into the swing of things a little more and put the snow theme on hold. Thennnnnnn.... as I was driving through town one day, I noticed a house with about a dozen wooden penguins on the front lawn. I've seen them before. Very neat. But that day I started thinking.... what if I could BORROW a penguin or two? How cool (haha!) 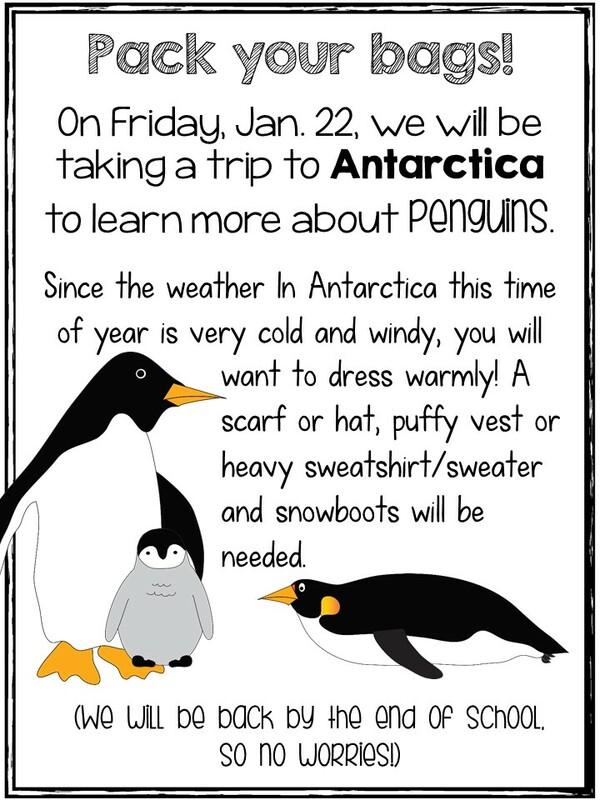 would they be in our classroom for a little penguin study? Well, thanks to my wonderful custodian who lives in town, 6 of those little guys were set to show up in my classroom for Friday! I could have stopped there. Really, I could have. A plain old "penguin party" would have been plenty of fun. But no. I got a little crazy. And the result.... Antarctica! Now it was time to get to work! I started by moving everything I could out of the room. This was not too bad because of three things: (1) There is an empty classroom right across from me where I could put everything, (2) A LOT of my bookcases and stuff is on wheels, and (3) my floor and walls are white so that really helped! A few more trips with the little stuff and some help from a friend moving the tables and I was ready to start the transformation! I had scoured Pinterest and seen a few ideas about using crumpled up butcher paper to make an ice castle. This became my go-to idea. I simply crumpled up pieces of white butcher/craft paper and them smoothed it out a little. I taped it to the wall, each other... whatever was nearby. Voila! Instant icebergs! I had seen Hope King's amazing classroom transformation using white tarps or dropcloths hung from the ceiling - but I couldn't find the replay anywhere I couldn't really figure out hw to make that work. I only had clear tarps (and I really didn't want to go out and buy more) so I hung the one I had from the ceiling (binder clips on the tarp and paper clips under the ceiling tile borders) and then put an iceberg below. It worked to sort of hide what was behind the tarp. The penguins were the finishing touch - and they're really what made it all come together. They are wooden cut-outs with wooden or metal stakes behind them to go into the ground. I stuck them in a milk crate so they would stand up and covered the crate with butcher paper. And what did we DO in this bare and frozen place? We researched penguins, of course! I opened the windows and put on the fan before they came in, just to really set the stage. (And believe me, it FELT like Antarctica with that!) Their first job was to come in and read the fact posters around the room (thanks to A Year of Many Firsts) and write down some interesting facts they learned. This gave everyone a chance to come in and get settled before we started our day. We began the afternoon with a penguin read-aloud. We had already read The Emperor's Egg, a story about how an Emperor penguin takes care of the egg and chick. We charted all the jobs the father penguin had and the challenges he faced. But what about the mother? Was she just off swimming in the ocean partying it up? After reading A Mother's Journey, we realized that the mother penguin had just as tough of a job as the father! Time for a little writing - which one do you think has it tougher, the male of the female Emperor penguin? I don't have any pictures of this (??? ), but here's the writing template we used, if you'd like it. Just click on the image. We finished up the day with some movement - waddling with an egg on our feet, just like an Emperor penguin. My kiddos had to waddle across the room without losing their "egg." Then came the storm.... cue the open windows and fan again! The "penguins" now had to huddle together with their "eggs" to keep from freezing. I have a feeling this may have been the best part of their day! I loved this transformation for a few reasons: (1) It was relatively easy to do - for me at least. I did it all pretty much by myself and though it took a few hours, it wasn't hard. (2) There was a LOT of content. My students knew soooo much more about penguins by the time they left - and not just the facts everybody knows. They were so excited to go home and share what they had learned with their families. (3) I was enthusiastic about it! If I had done the "winter wonderland" idea like I had originally planned, my kiddos would have had fun, but my heart wouldn't have been in it. By doing something that was just as engaging for ME as it was for THEM, we ALL had a great day! If you have any questions about our Antarctic adventure, or want to know how I did something, feel free to email me at secondgradestories@charter.net. 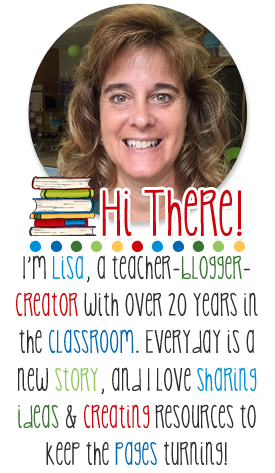 I'd be happy to share ideas! SNOW much fun! I know that's an overused pun, but I couldn't help myself. I love everything about this! Opening the windows and turning on the fans was brilliant.